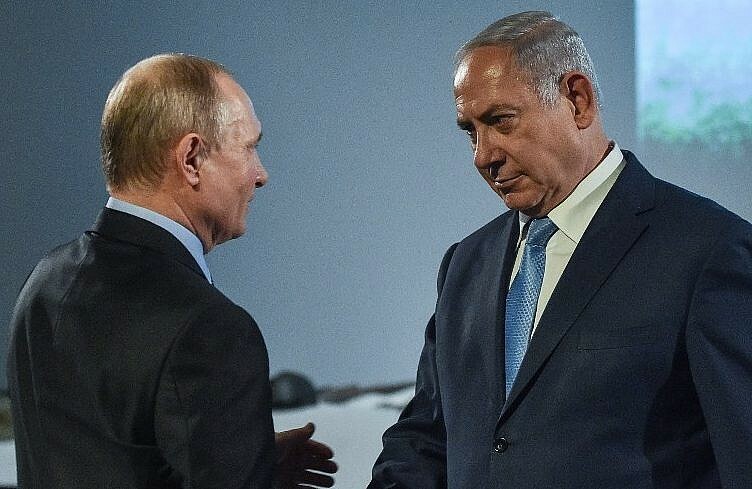 Israel and Russia have reached a secret agreement to distance Iranian forces from the border area in southern Syria, Israeli TV reported Monday, as Jerusalem and Moscow sent differing messages regarding the extent of their tolerance for Iran’s military presence in that country. Under the apparent agreement coming together, Israel will accept the return of Syrian regime soldiers to the border on the Golan Heights, in exchange for Russia guaranteeing there are no Iranian or Hezbollah forces in the area, Hadashot TV news reported. Russia will also call on all foreign troops to leave Syria, including not only Iran and the Lebanese terror group, Hezbollah, but also the United States and Turkey, the report said. The agreement was reportedly finalized in a phone call Friday between Israel’s Foreign Minister Avigdor Liberman and his Russian counterpart Sergei Shoigu; Liberman is set to visit to Moscow next week. Hadashot said. Earlier in the day, Russian Foreign Minister Sergey Lavrov seemed to begin the process of pushing Iran and Hezbollah back, saying only the Syrian army should be present on Syria’s border with Israel. However, his statement suggested Russia was ready to allow Iran to maintain a foothold in other parts of the country. Prime Minister Benjamin Netanyahu said after Lavrov spoke that Israel objects to Iran’s presence in any part of Syria. The reported agreement also includes a clause on Israel’s right to continue to take action against Iranian military activities in Syria. Hadashot quoted diplomatic sources saying, apparently on the basis of this clause, Israel considers the agreement to be a breakthrough in that it means the US and Russia are now supporting Israel’s opposition to Iran’s military presence in Syria. 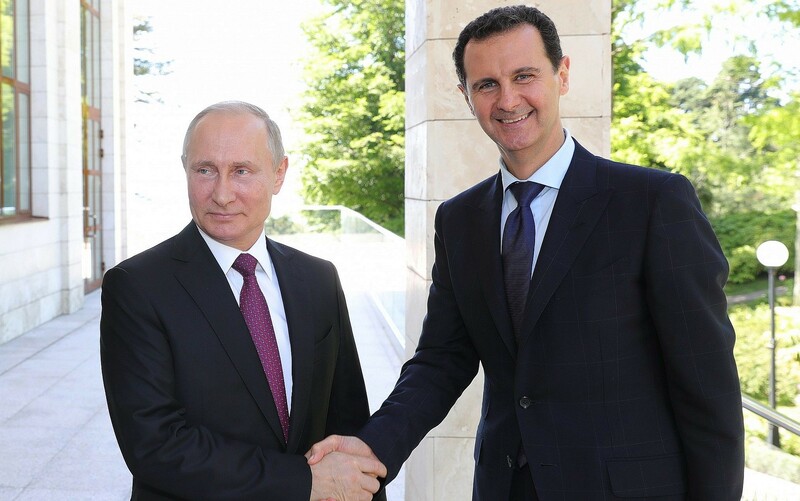 Furthermore, an Israeli source was quoted saying, the deal means Assad is now regaining almost all of Syria, under Russian protection and with Israel’s agreement, after eight years of civil war. Israel has accused Iran of seeking to gain a foothold in the border area as forces loyal to Syrian President Bashar Assad have made gains in clearing out rebel groups there. It has also said Iranian forces fired a few dozen rockets from the area at the Golan Heights earlier this month. The Russian statement on limiting Iran and proxies loyal to it is being interpreted as a likely nod to Israeli concerns over Iran’s activity on its northern border. 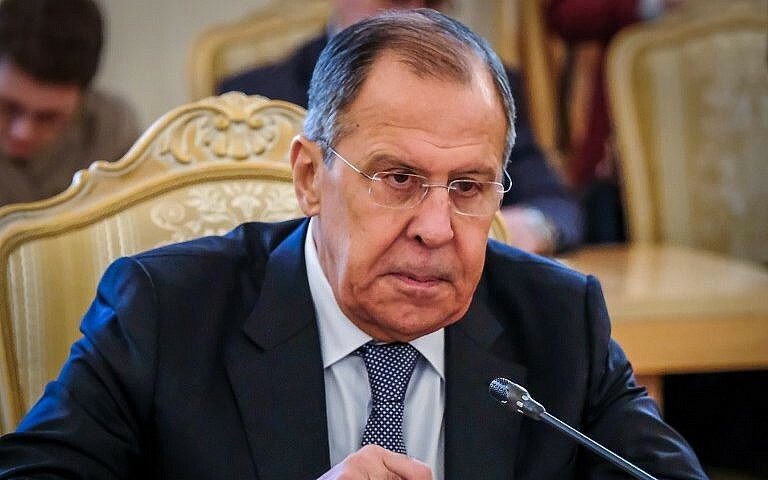 Lavrov’s comments came after the Haaretz daily reported Monday that Russia is open to keeping Iranian forces and their allies from Israel’s northern border, fearing that repeated Israeli strikes may undermine Assad’s grip on the country. Israel has repeatedly stated it will not tolerate an Iranian military presence in Syria and has recently acknowledged carrying out airstrikes on Iranian targets in the country. Israel has also struck Syrian air defense systems that fired at Israeli fighter jets during the raids. Liberman will travel to Moscow on Wednesday to meet with his counterpart Sergei Shoigu, the Defense Ministry said shortly after Netanyahu’s remarks. He will be joined on the trip by the head of Military Intelligence and other senior defense officials. Chagai Tzuriel, director-general of the Intelligence Ministry, told journalists on Monday that he believed recent events were convincing countries such as Russia that allowing Iran to entrench itself militarily in Syria was not worth it. Speaking Monday, Netanyahu said Iran’s military presence in Syria would be a main focus of his trip next week to France and Germany, where he will meet with French President Emmanuel Macron and German Chancellor Angela Merkel. Netanyahu said Monday he may also meet with British Prime Minister Theresa May, but did not indicate if he would travel to the United Kingdom. In addition to countering Iranian military activities in Syria and throughout the Middle East, Netanyahu also said he would discuss Iran’s nuclear program with the European leaders. This entry was posted on May 29, 2018 at 6:07 PM and is filed under Uncategorized. You can subscribe via RSS 2.0 feed to this post's comments. You can skip to the end and leave a response. Pinging is currently not allowed.